Millenáris Park – 4 Days! April, 21. – April, 24. 2016. Venue: Budapest – District II., 16-20 Kis Rókus Street. After the previous year’s invited country’s guest of honor, being highly successful Guest of Honour presentations of Poland, the Czech Republic, Italy, France, Germany, Russia, Spain, Canada, China, Romania, Israel, Turkey, the European Union and the Nordic Countries they are here again to introduce the literature and the publishing industry of their country. In 2016 we will presenting Slovakia as the Guest of Honour Country. Dates and Opening Hours 21. April,21 – Noon – 7 p.m., 22. April, 22. 10 a.m. – 7 p-.m., April, 23. 10 a.m. – 8 p.m., April, 24. 10 a.m. 7 p.m.
A great festival for book lovers. The Budapest’s International Book Festival hosts representatives of world literature and of domestic intellectual life. During the week-end can meet 100 authors from 25 countries and more than 400 Hungarian authors, scientists, and artists who will be on the spot. Therefore, a fine occasion meetings with authors, signings sessions, book premiers and presentations, roundtable discussions, concerts, theater performances, exhibitions and films. Also meet many Hungarian and foreign authors. Children’s Kingdom will be organized especially for young generations with promotion of children’s books and special programs for kids. Last year opening day was dedicated to Shakespeare and Cervantes, having been commemorated the anniversary of the death of the two great poets. 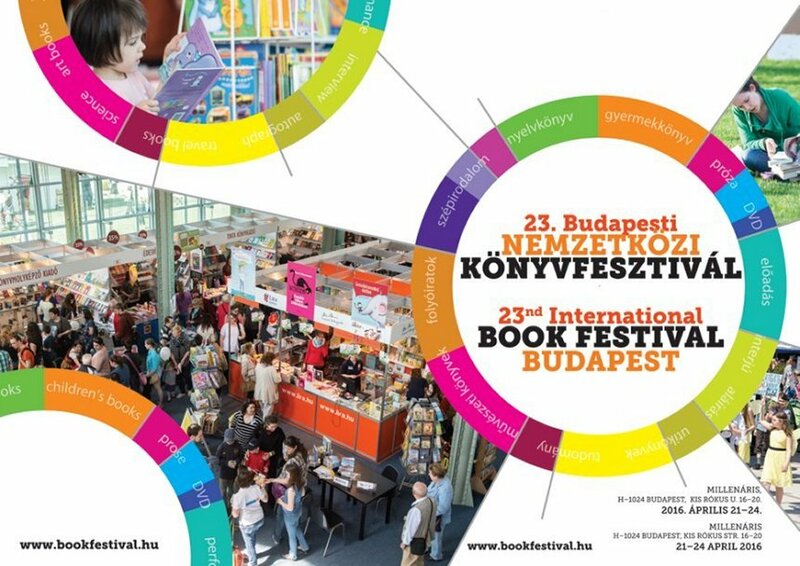 More than 300 new publishing, a host of international and local authors and around 350 cultural programs make the International Book Festival in Budapest truly worthwhile event for both locals and foreigners staying in Hungary and naturally the tourists are welcomed as well. Ticket price: 500HUF (if you buy a book at the festival the entry fee will be deducted). Mission Tour Travel Agency and the MÁV-Start Zrt. The Virgin Mary pilgrim train rolls on the railway tracks to Csíksomlyó – Transylvania and to the Black Madonna – Poland located at Czestochowa which was announced by László Budai – managing director of Mission Tours Travel Agency in Budapest at the latest press conference held at the Western Railway Station’s – Royal Waiting Hall. Also was told, these spiritual pilgrimage tours are occasion to recharge, community-building and strengthening foreign relations between each other nations as well. This year, young people with disabilities and their families will be supported to travel on the pilgrimage train told by the representative of the Ministry of Human Resources who also added those on this journey will not only have a spiritual recharge, but the ability to add strength to the struggles of everyday life. The exact program is still being prepared, but already having plans with concerts, interviews with people who bear to witness their faith, adoration and contemplation. Saint – Pope John Paul II died 10 years ago. Therefore, it is important that during the trip the pilgrims will stop to visit the newly constructed basilica named after the Polish Pope as well. The „Csardáskirálynő” – Czardas Queen operetta was composed by Imre Kálmán. Exhibition and Gala night at the Operetta and Musical Theater – Budapest. The „Csárdáskirálynő” – Czardas Queen is once again back home after its long journey to charm the Hungarian and foreigner audiences. The melodies of the Czardas Queen for the first time on November,17. 1915 rang in Vienna, at the Johann Strauss Theater. At the time being nobody would have had suspected that this is the beginning to a successful story that continues up to this day. No surprise that at the original venue in Vienna the audience saw the show 533 occasion since after the 1915’s premiere.The piece was staged despite the WWI also in Sweden, Finland, Poland, Russia and Italy. Probably not on my own by saying, that the melodies of Imre Kálmán’s, (born 125 years ago) right this minute is somewhere around the world played either on stage, on television, on the radio, at a concert hall or within a gala show. The Czardas Queen musical operetta already toured all around the world and the audiences just alike in Budapest gave standing ovations, in Tokyo, Rome, Munich and in Amsterdam had pleasure to see the original play as it is on show at the Budapest Operetta and Musical Theater. While in Salzburg and Prague was a co-production, directed by KERO® with the local stars on stage. The Czardas Queen story in a nutshell: The story is about a hopeless love of the Duke Edwin to Sylvia, a star from the Budapest Orpheum. The family disapproves of the lowly relationship. The parents everything in their power to lure their son back to Vienna, where the have already chosen an appropriate girl for him, the Countess Stazi to help haste matters by buying a New York contract for the chanson singer Sylvia Vereczky. However, the dear foolish Count Bóni conspires to help the lovers, as does also the waiter, Miska and his twin brother Alfons … the butler at the house of Lippert-Weilersheim … and Uncle Feri, Bóni’s friend from the Orpheum. He is the main weaver of threads and is even ready to disclose the love of his youth, and Edwin’s mother hoping to succeed. Unfortunately, cannot update about the evening’s performance, cause the tickets were all sold out. 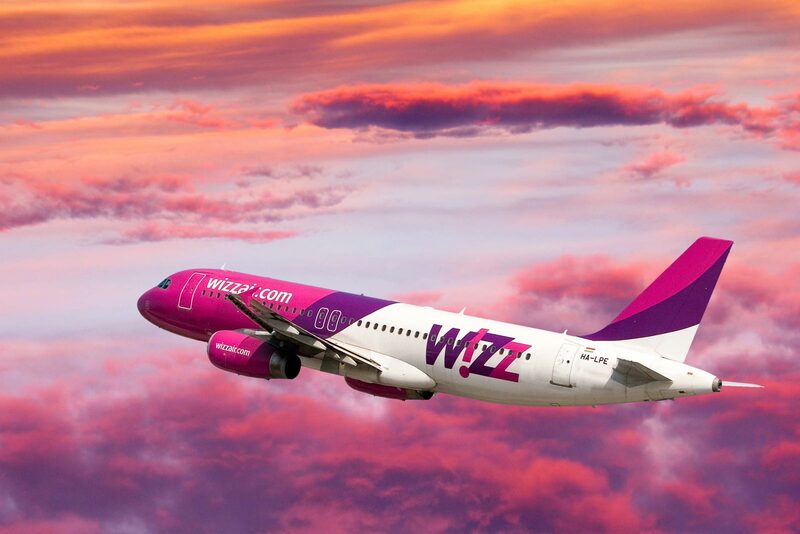 W!ZZ AIR ALREADY LAUNCHES ITS WINTER SCHEDULE 2014 – HUNGARY! NEWSFLASH from April, 29. 2014. One of W!ZZ AIR’s most popular flight is en route from Budapest to Dubai which will increase up to four weekly flights … and another good news for travelers, planning, ahead to Dubai, previously was announced that no visa is needed for Hungarian citizens anymore to travel to Dubai. Services to Moscow will be on weekly base, operating 10 times. Many Hungarians spend their vacation in Barcelona and with the weekly 4 flights and its low airs it makes the planning more easy and comfy. These flights are coming by beside the already 29 flights to 18 different counties in the W!ZZ AIR’s Hungarian route network. All flights operated on Airbus A320 aircraft, with 180 seats. MANY MAY KNOW ALREADY AND HAVE HAD THE EXPERIENCE … ANYWAY HERE IS A REMINDER …W!ZZ AIR is the largest low-cost airline in Central and Eastern Europe … which means their flights are to and from the following regions: Albania, Belarus, Bosnia and Herzegovina, Bulgaria, Croatia, Czech Republic, Estonia, Hungary, Kosovo, Latvia, Lithuania, Macedonia, Moldova, Montenegro, Poland, Romania, Russia, Serbia, Slovakia, Slovenia, Spain and Ukraine.